What is the unconscious mind? First off, it is not a mind separate from our ordinary waking awareness. It is more like a mass of interacting processes working at different levels that influence and give rise to our consciousness. These processes are necessarily unavailable to our awareness. In fact, it has been shown that about 0.4 seconds before we are aware of any conscious decision, unconscious processes have already decided that outcome. Think of your computer as a metaphor for you mind. What you see and interact with on the screen (the content of your consciousness) is the result of myriad of programs that you cannot see or even understand. These programs are written in different languages and arranged hierarchically all the way down to the basic 0 and 1 level of mechanical on and off switching in the computer hardware. Every thought is a pattern of neuronal firing, a complex interaction of relational associations, a metaphorical symbolization and a fleeting conceptual awareness. The conscious and the unconscious are all of one whole. Because these processes are beneath awareness, we often minimize or dismiss their importance and influence. 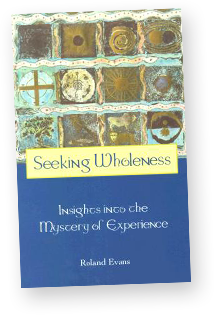 To become whole we have to relate to those aspects of ourselves, however mysterious and obscure. The proper attitude is one of wonder, respect, clear intention and appreciation.